Drum roll, please! 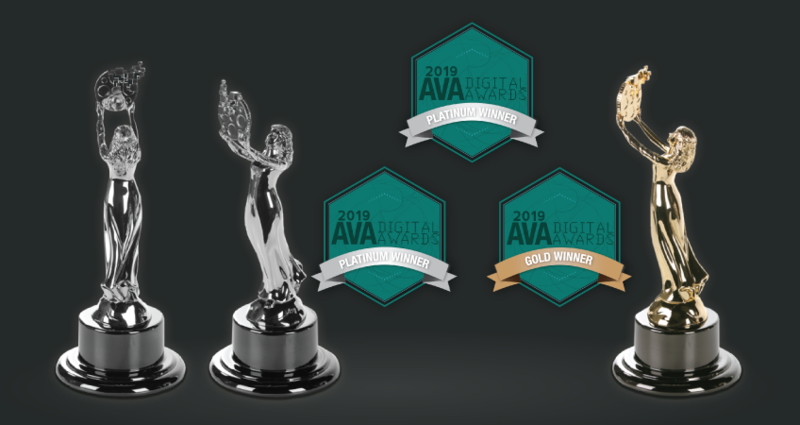 We are very excited to announce that Coal Creative has won AVA Digital Awards for three separate video projects in 2019, with two winners in the Platinum category, and one in the Gold Category! For two of the three winning videos, this is not the first Award Recognition we have received. Both the “2018 Pennsylvania Governor’s Award for the Arts Film” and the Social Fabric Collective project “Taken by Pictures” are previous MARCOM Award Recipients in the Gold Category, and now, both videos have been recognized as Platinum Winners by the AVA Digital Awards. Our third winning project, 2018 United Way Annual Fund Campaign Video, has received a Gold Category AVA Digital Award. “Working with the United Way of Wyoming County on their annual fundraiser is always a major highlight of our year,” explained Creative Director & Production Manager, Sam O’Connell. “From the graphic design, to the video, the creativity and the collaboration results in work that we are extremely proud of. While meeting the important goals set by the United way in support of in their fundraising efforts, and seeing first hand the effect of the mission in our local community is important and rewarding enough, to have been recognized as a Gold Winner by the AVA Awards for our campaign video, which shows the effects of childhood poverty on our community was absolutely humbling.